Report No. 138 (2001) provides information and recommendations regarding the radiological health and safety issues related to the threat of terrorist activities involving radioactive material. The Report identifies, evaluates, and makes recommendations regarding immediate and long-term radiological consequence-management issues, communication and coordination challenges, and public information challenges associated with these emergencies. This Report also provides recommendations on training guidelines, critical resources, and guidelines for internal and external exposure, as well as decontamination and cleanup. NCRP is aware of several existing recommendations and plans from many levels of government within the United States. 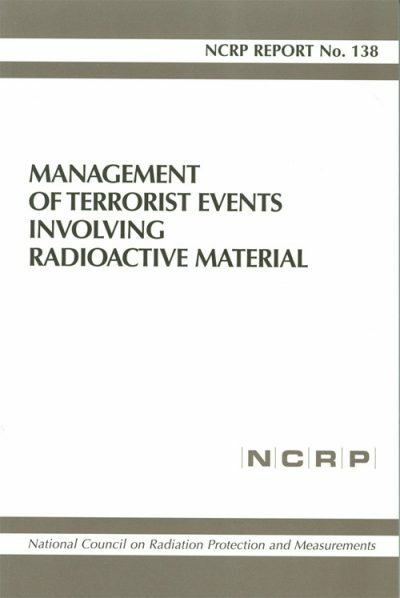 Rather than reiterate this information (which is constantly evolving), our attention has been focused on the basic principles underlying effective planning and response to terrorist activities associated with the dispersal of radioactive materials. The Scientific Committee that prepared this Report reviewed the most likely radiological-threat scenarios taking into consideration release and dispersal mechanisms, lessons learned from actual disasters and large-scale radiological exercises, and current disaster plans at the local, state and federal levels.